Manufacturer of a wide range of products which include electrical connector and dtl 38999 series iii connectors. 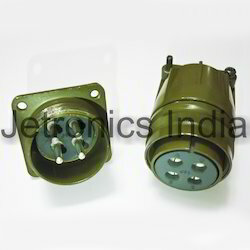 Electrical Connector have a wide range of applications from military to aerospace. They cater to various industries like medical, machine manufacturing, welding machines, testing machines, sensors, process control, automation, etc. Looking for Electrical Connectors ?